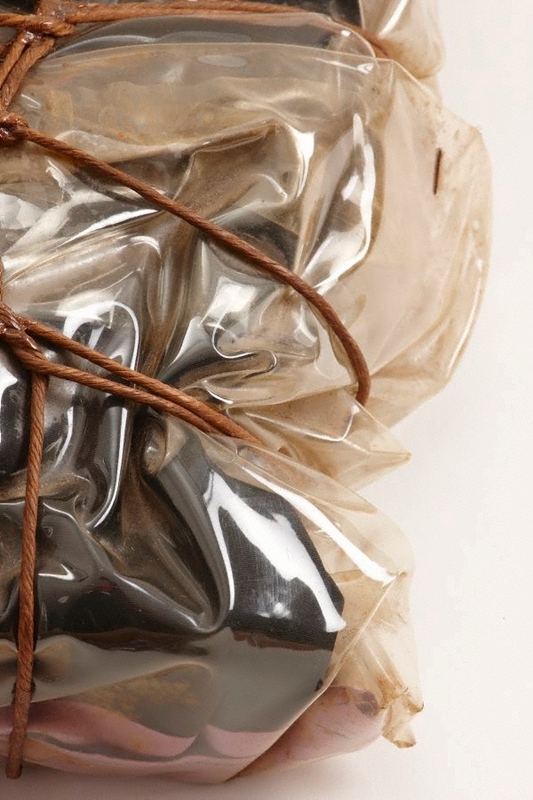 The surrealist artist Man Ray was the first artist to wrap objects as a way of making them strange. Wrapping has the paradoxical effect of concealing an object while accentuating its larger geometry and heightening our curiosity about it, encouraging us to make an imaginative leap in order to interpret what we see or what lies beneath. 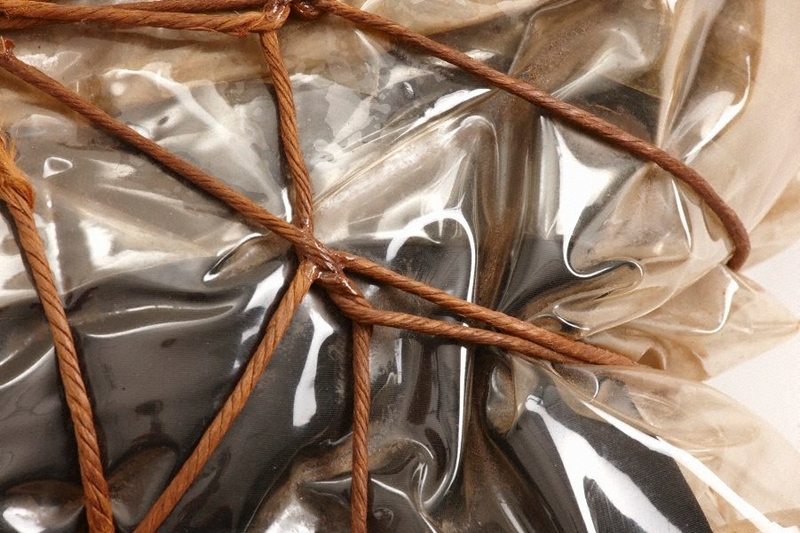 Christo began wrapping and packaging objects in the late 1950s. His early works made use of items from daily life – such as books and boxes – which he draped, folded and bound in fabric. Later he collaborated with his wife Jeanne-Claude to wrap entire buildings and environments. While visually the folds of fabric in their works refer to classical forms from art history, the process of wrapping relates more broadly to cultural practices of preserving, shrouding and concealing. Signed and dated u.r., white ink "Christo/ 67". 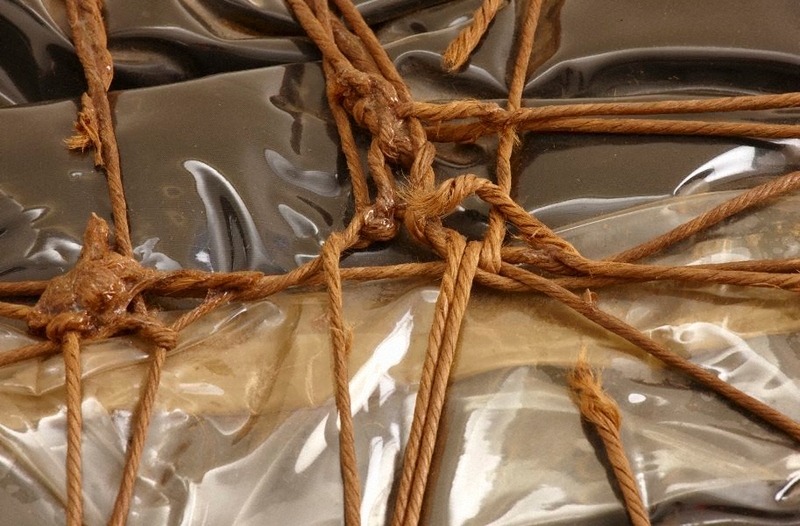 Sophie Forbat, John Kaldor family collection: Art Gallery of New South Wales , 'Christo', pg.62-77, Sydney, 2011, 64, 66 (colour illus.). Landmarks , Katoomba, 2017, 20. Christo and Jeanne-Claude: early works 1958-1969 , Berlin, 2001. 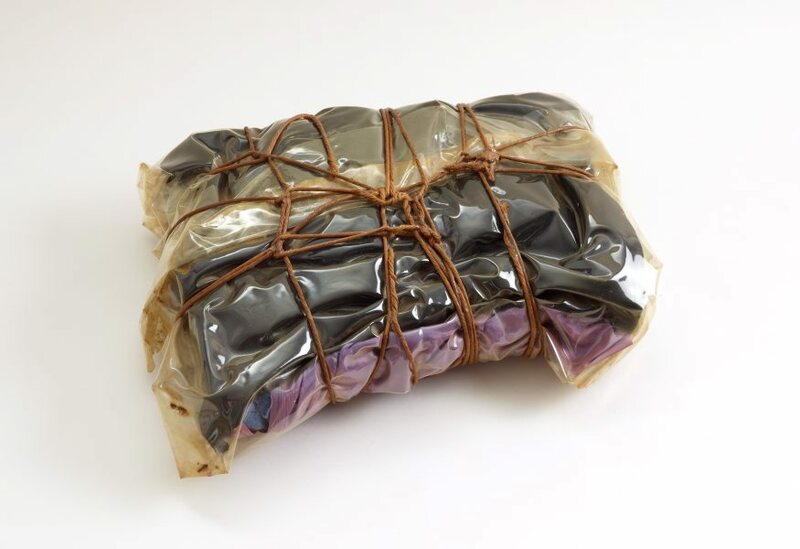 From Christo and Jeanne-Claude to Jeff Koons: John Kaldor art projects and collection , Sydney, 1995, 12 (illus. ), 82.